Enjoy panoramic views of the city and the surrounding landed estate with a modern architecture that features a mix of high-rise towers and a low-rise block. Served by key expressways and major roads, the development is just minutes from sumptuous food, quaint shops and shopping malls. You can also shop and dine right at your doorstep with 28 units at The Venue Shoppes offering a vibrant mix of shopping and dining choices. Accessibility is never a question with major expressways such as PIE, CTE and KPE nearby. 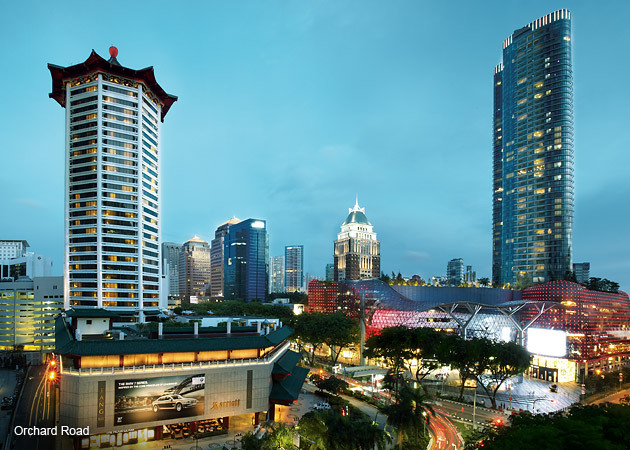 By car, you can get to Orchard Road, Raffles Place and Marina Bay Sands in just minutes. The development is also well serviced by a network of public transport, with Potong Pasir MRT station a short stroll away and Serangoon MRT interchange only two stops away. Good food and quaint shops are within walking distance from your apartment. Venture a little further and you’ll enjoy shopping, dining and entertainment options at City Square Mall, Nex and the upcoming MacPherson Mall. For a welcome breather, take a stroll at the scenic Woodleigh Park. Nature lovers can also admire the lush hilly greens of Bidadari Park, set to be developed into a beautiful garden with a new lake. Within one kilometre of your residence, you’ll find St Andrew’s Junior and Secondary Schools. Cedar Girls’ Secondary, Maris Stella High and Stamford American School are also some of the well-known institutions near your residence. Over at the club house, the gymnasium stands ready for your workout while the steam rooms offer a spot of therapy. Within the residential blocks, there are spaces for relaxation, with sky terraces bedecked in green on various levels. The little ones will have the time of their lives at the children’s pool inset with islands of trees and the playground with its quaint touches. They can also enjoy a game of hopscotch or do jumping jacks on the trampoline. For the perfect gathering, plan a family dinner at the BBQ alfresco dining area by the pool or the function room at the club house. Lavish finishes welcome you as you enter your home. The living and dining areas are complete with marble flooring, adding a hint of luxury in every unit. Be spoilt for choice with a range of units including intimate one- and two-bedroom suites, family-sized three- and four-bedroom suites, three-bedroom dual key suites, two-bedroom + study duplexes and exquisite penthouse suites. The master bedroom, available in every unit, makes it easy for you to tuck your worries away after a long day at work. Whip up a fancy feast effortlessly with the suite of branded kitchen appliances from Fisher & Paykel and Teka. Your bathroom is also a study of modern aesthetics with elegant fittings from Duravit and Hansgrohe. 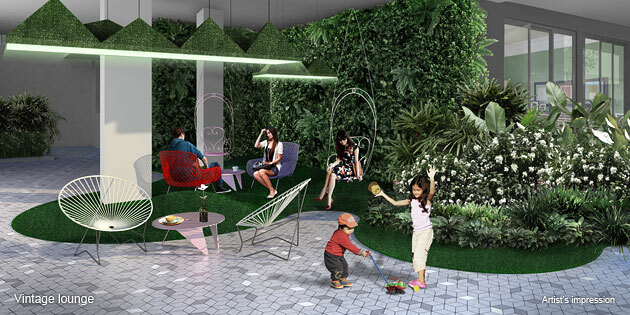 Verdant grounds and green groves create an environment that perfectly complements your retail experience. 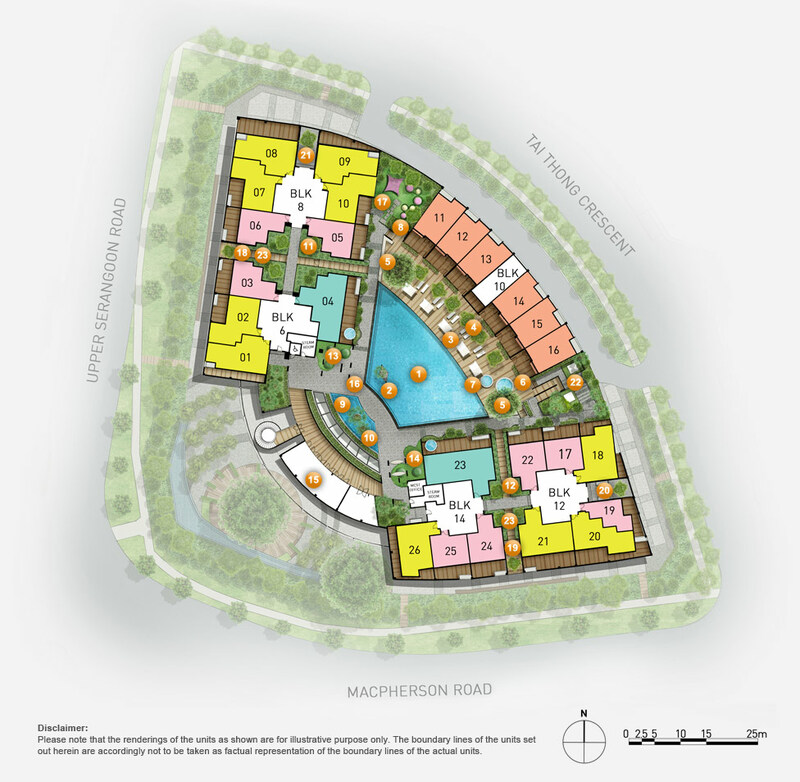 Two specially conserved Angsana trees more than 30 years old welcome you as you enter the development. The Asoka and Saga trees also form stunning rows of green along the walkway. 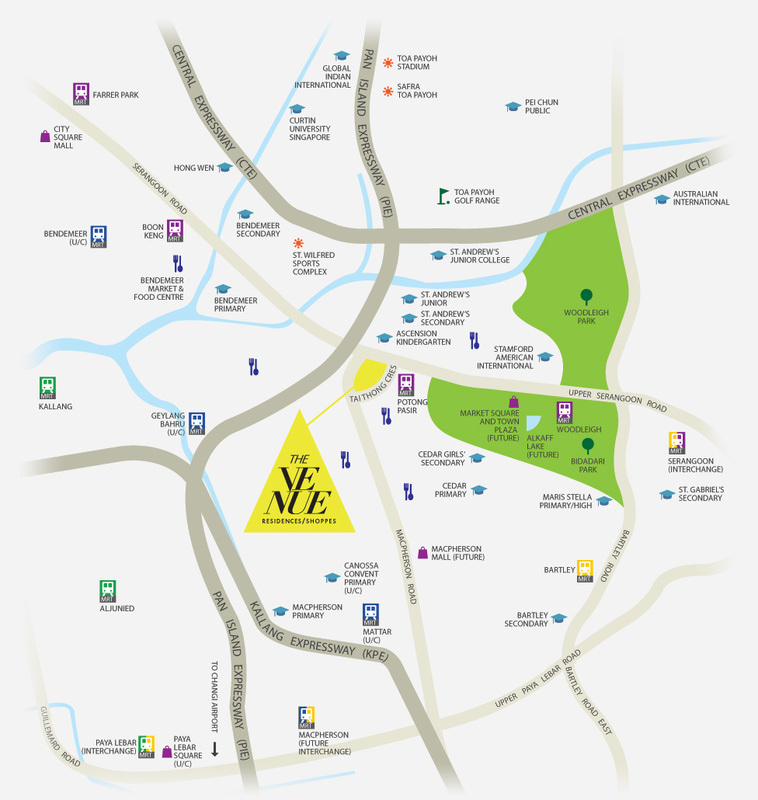 The Venue Shoppes offers 28 retail units with sizes ranging from 28 to 121 square metres. These units are located on the ground floor with full-height glass windows that let in natural light and add to the attractive street frontage. The overhang above the walkway also provides shade for the shoppers. For more information & prices of The Venue Residences/Shoppes, simply fill up the contact form below and our sales representative will get back to you shortly!